Our review paper is a featured article in Nanotechnology! You can find a link to the PDF below in case you are outside of the paywall. Electric charge detection by atomic force microscopy (AFM) with single-electron resolution (e-EFM) is a promising way to investigate the electronic level structure of individual quantum dots (QDs). The oscillating AFM tip modulates the energy of the QDs, causing single electrons to tunnel between QDs and an electrode. The resulting oscillating electrostatic force changes the resonant frequency and damping of the AFM cantilever, enabling electrometry with a single-electron sensitivity. Quantitative electronic level spectroscopy is possible by sweeping the bias voltage. Charge stability diagram can be obtained by scanning the AFM tip around the QD. 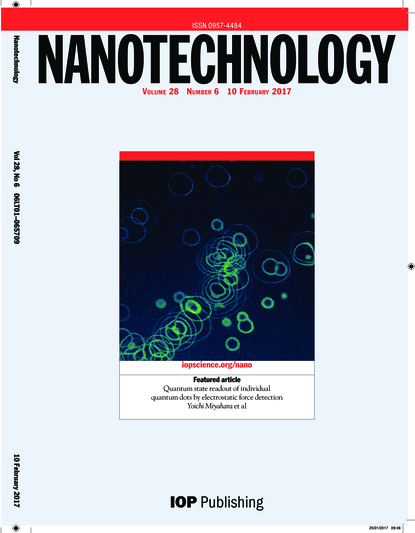 e-EFM technique enables to investigate individual colloidal nanoparticles and self-assembled QDs without nanoscale electrodes. e-EFM is a quantum electromechanical system where the back-action of a tunneling electron is detected by AFM; it can also be considered as a mechanical analog of admittance spectroscopy with a radio frequency resonator, which is emerging as a promising tool for quantum state readout for quantum computing. In combination with the topography imaging capability of the AFM, e-EFM is a powerful tool for investigating new nanoscale material systems which can be used as quantum bits.